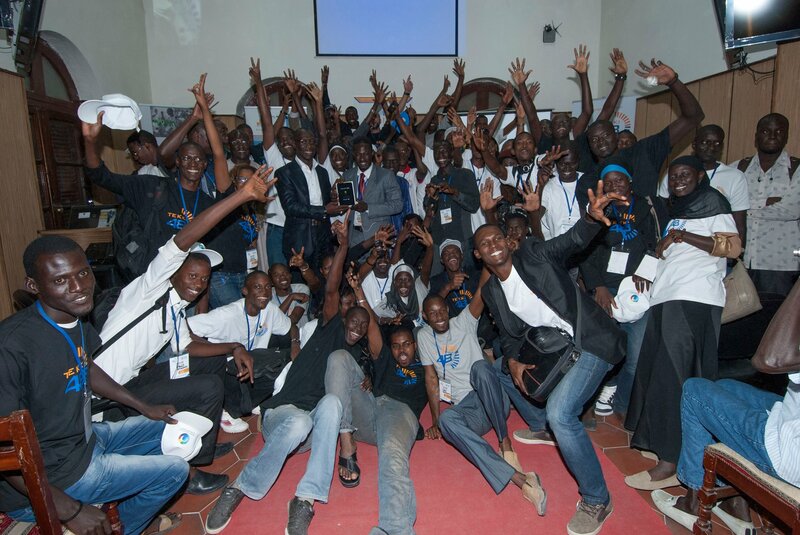 A few weeks ago in a small former colonial town north of Senegal called Saint-Louis, Tekki48, a two-day startup event organized by local tech hubs CTIC Dakar and Jokkolabs in partnership with the local University, was launched. The purpose of the event, designed and created by CTIC Dakar, is to take the best of the StartupWeekend model and adapt some aspects to the needs of local entrepreneurs. This raises the question: Should African tech communities, incubators and accelerators create and brand their own events and programs instead of replicating proven international concepts? Of course there is no easy answer to this question, but I will try to outline a few of the pros and cons associated with each choice. – Events like StartupWeekend or accelerator programs like TechStars and Y-Combinator have been designed for startup ecosystems in the US or more precisely for some US tech-savvy cities. However, when you implement such a program in a different geography or context, you may see that several things do not fit. It could be the stage of the companies supported, their needs in terms of support, the availability of the mentors and investors, the pitching capabilities or the young entrepreneurs, etc. For instance, after organizing the first StartupWeekend in francophone sub-Saharan Africa in Dakar, and hosting another in Saint-Louis, CTIC decided to stop using its entire team and their resources to deliver this model. Why? Because although we may have been successful in terms of attracting media and stakeholder attention, we did not create startups mature enough to integrate into our acceleration and incubation programs. Furthermore, the governance structure of StartupWeekend stipulated that only one person from the community could serve as the entry point in Senegal, which made it difficult for CTIC to include the event in its strategic plan. As a result, we started thinking about creating a new event more adapted to our environment. A few months later, we had a “minimum viable product” that we launched in Dakar as the first Tekki 48, a two-day startup accelerator event where companies are selected in advance and the culmination is a combination of the final pitch and several deliverables the teams have to produce during the weekend. These include financial projections, communication materials, a customer base description, an action plan and a business model canvas. For CTIC, Tekki 48 has two core objectives: to raise the awareness of local decision makers of their tech ecosystems, and filter motivated and promising startups. However, Tekki 48 will continually evolve, because as the creators of this event, we don’t have to ask permission to transform it as long as we learn and our ecosystem evolves. – Another reason to localize your events and programs is to encourage the natural adoption and acceptance by your tech community and sponsors. For example, using local names, concepts and ideas makes it easier for people to relate to your effort, and reduces the belief that foreign influence is too significant. However, taking this path can be more difficult at the beginning when you have no track record of success. But once one or two of your local events have worked, you start creating a brand that people recognize and belong to – and that’s a terrific victory. In our case, we named our event, Tekki, which means “success” in Wolof, the national language of Senegal. – On the other hand, an internationally recognized brand and concept is easier to present and to pitch to partners, especially if you don’t have a long history as an event organizer. It also gives you the time to build the skills of your team by using an existing concept, because you follow the canvas the international organization has developed for you. This helps you get to implementation quickly because you can focus on the logistics, which can be pretty difficult to manage in Africa on a small budget, and pay less attention to the model and program. – The second beautiful thing about global models like StartupWeekend is the community and international recognition. Organizing such an event can put your city “on the map”. Even though it’s just an event, it seems sometimes as if a country with no StartupWeekend is a country with no tech ecosystem, so it helps you be visible and build links at a global level. This international community will then help you learn and grow. In conclusion, I would advise you to carefully think about what your ecosystem and organization need before involving your hub brand, team and partners in large-scale events. I believe that we need many more events in our countries in order to see entrepreneurs blooming everywhere. This includes events like Startup Weekend and barcamps, because they are fast to implement and have a clear value in building communities and raising awareness about entrepreneurship and technologies. But we also need events and support programs precisely adapted to the need of our organizations and ecosystems, and which belong to our communities. Our goal as hubs is to empower people, so let’s empower ourselves first. NOTE : this article has been co-written with Tayo Akinyemi, Director at Afrilabs, the pan-africain network of incubators and tech hubs – and first published on the afrilabs’ blog – Thanks Tayo !